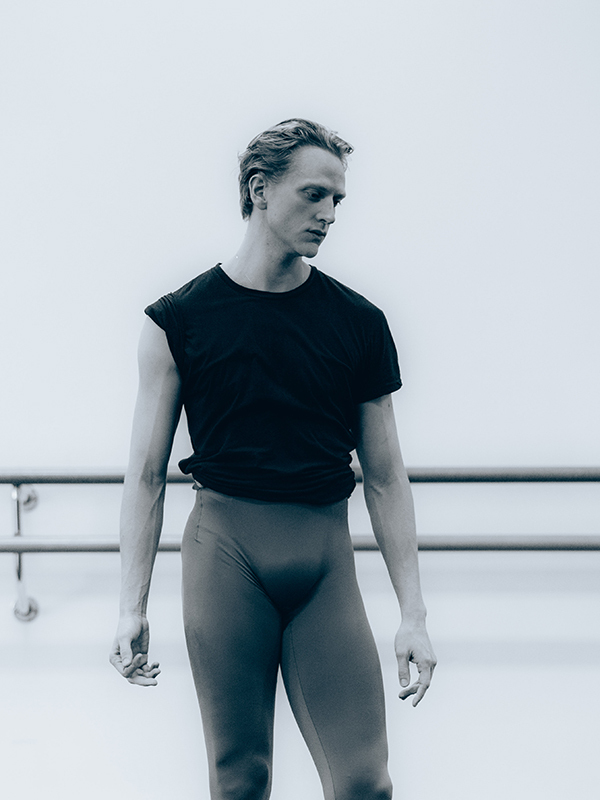 When it comes to dance stars, few shine brighter than David Hallberg. With his elongated lines, pristine technique and ultra-arched feet, he appears almost otherworldly, a man who fell to earth from Planet Ballet. At American Ballet Theatre, a company that imports the cream of the world’s talent to fill its top ranks, he was one of the first native-born Americans to reach the pinnacle of Principal Dancer. In 2011, he became the first American to join the Bolshoi Ballet as a Principal, and divided his time between New York and Moscow, as well as guesting all over the globe. For the last two-and-a-half years, David’s career has hung in the balance as he battled to rebound from a debilitating foot injury. 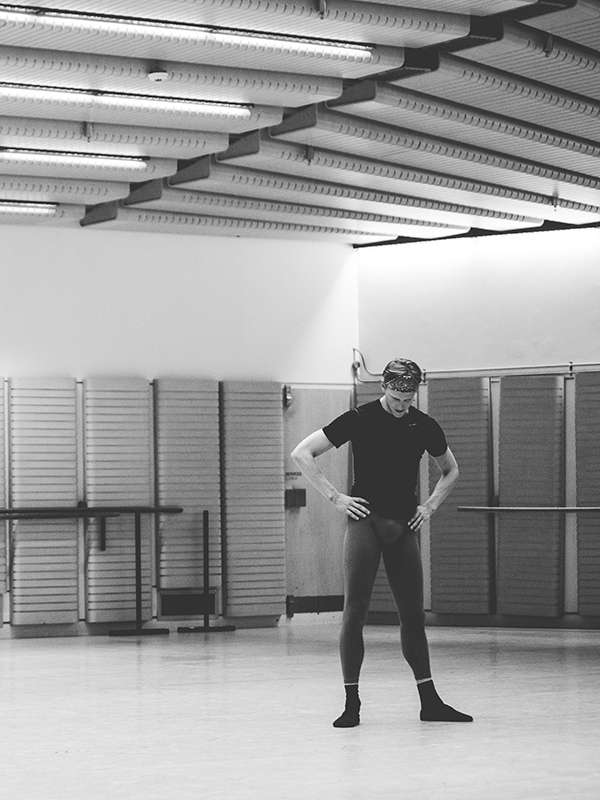 On the verge of his return to the stage, making his debut as Franz in Coppélia with The Australian Ballet, he talked to us about his time with the company, the work with its Rehabilitation Team that has been so vital to his recovery, and his thoughts about his future. 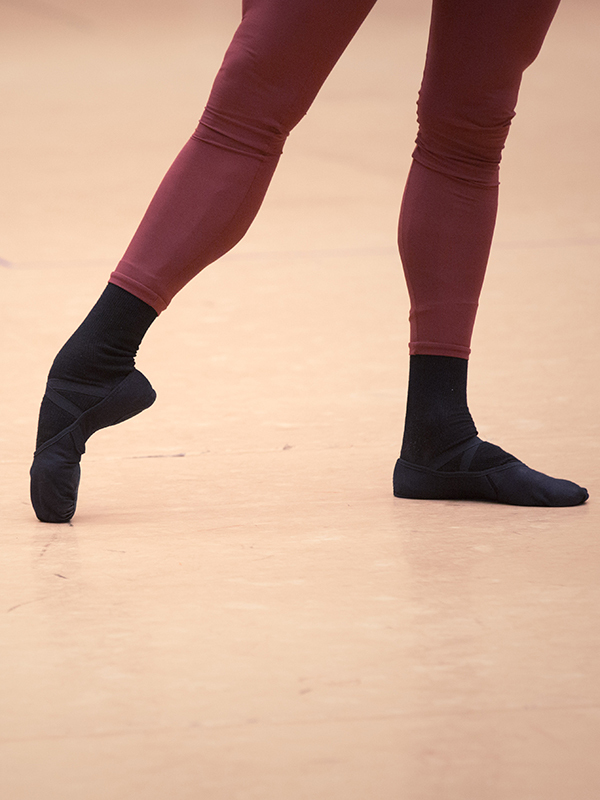 How did your relationship with The Australian Ballet begin and evolve? My relationship with the company started in 2010. My manager in New York knows David [McAllister] very well, and David invited me down to guest in The Nutcracker. I feel like it just clicked right away. I felt so warmly embraced. That’s a very Aussie thing, but it’s also specific to The Australian Ballet. I’ve danced with many companies, and I’ve never felt such a warm welcome. There was talk of making my visits a recurring thing. David and I saw a mutual rapport, not only between him and myself, but between me and the dancers. I felt very connected with them and liked working with the company, and felt they liked working with me. I find the dancers very accepting, and really open to growth and different styles, different ways of doing things. It’s a company that does a huge amount of shows, and that nurtures a sense of community. There’s such a hierarchy in bigger companies. Of course that exists here too, but there’s also a sense of collective energy, of unity. Can you tell us about the injury that sidelined you? And what made you seek the help of The Australian Ballet’s Rehabilitation Team? I worked with Sue, Paula Baird-Colt [Body Conditioning Specialist] and Megan Connelly [Ballet Mistress and Rehabilitation Specialist]. What I love about this team is that it’s a real collective. It’s not one individual dictating the rehab process, it’s a team effort. We started over completely, at square one. After a very thorough assessment, the first step was to build strength, to overhaul my entire body, especially from the waist down. I didn’t do any ballet, I didn’t go into any studios, I didn’t put tights on. I was with Paula for five hours a day, just building, building, building. She taught me a whole encyclopaedia of exercises. It was a very slow, very incremental, very methodical process, so there was no danger of error, nothing left to chance. By the time I was ready to go into ballet with Megan, I had built a completely different support system. Megan restructured everything in terms of the way I used the strength I had built once I began to apply it to my dancing. With both Paula and Megan, it was slow, methodical work boiled down to every last detail. What have you learnt through the whole experience? It’s changed the way I dance, but also the way I condition myself. Before, I basically didn’t do any conditioning – I would just get warm for a rehearsal or a show, do it, and call it a day. I did no injury prevention, no prep work, just some crunches and lifting some weights here and there. The team really taught me the power of prevention: even if it’s a fluke accident, you can often prevent it from happening if you have this really strong, intuitive, honed-in and turned-on support system. It acts as a shock absorber, cushioning the shock of turning, jumping, torsion, plié – every strain we put our body through as dancers. I’ve had a whole overhaul of my education. Before I worked with this team, I didn’t want to believe that rest is just as important as pushing your body to extremes. As an artist, I thrive on challenge and being “busy”, but the recovery process from a rehearsal or performance is just as important. You can’t expect your body to respond at a peak level 100% of the time, it’s impossible. I’ve really learnt the ebb and flow of a rehearsal week, and I think I can read my body a lot better now. I know when I’ll be able to push something before I’m even into the day. For instance, if I really push something one day, I know the next will be a down day, a recovery day. It’s an up-and-down kind of thing, both with conditioning and rehearsal. I don’t do heavy weights or the same exercises every day, and I don’t rehearse the same every day. It’s like a lot of things in life: sometimes when you leave things, you come back with a much clearer head, a fresher perspective, rather than sitting down and toiling things out for hours on end. When I’m dancing, I feel more in control of the way I move. I don’t feel I’m leaving things to chance, or relying on the body I was given. I’m more relying on the strength that I’ve built. How has this time of recovery been for you mentally? Going through a process of an injury is very stripping for an artist – to have your craft taken away from you. Revisiting ballet, I feel very different as an artist. I feel that I can give things that are richer, more individual, more in-depth, because of that hardship. The mental work has been just as hard as the physical work. I left my life in New York, I left friends and comforts. I needed to leave – to get away from the prying eyes, and all the questions about how it was going and when I would be back. The time I have spent rehabbing has been very healing. I came here so hollowed out, I had lost the fight, and this was my last-ditch effort. I had to rebuild everything, not only physically but emotionally and mentally. It’s been a big year, clearing out every closet imaginable! Now I wake up happy; I look forward to the work day. 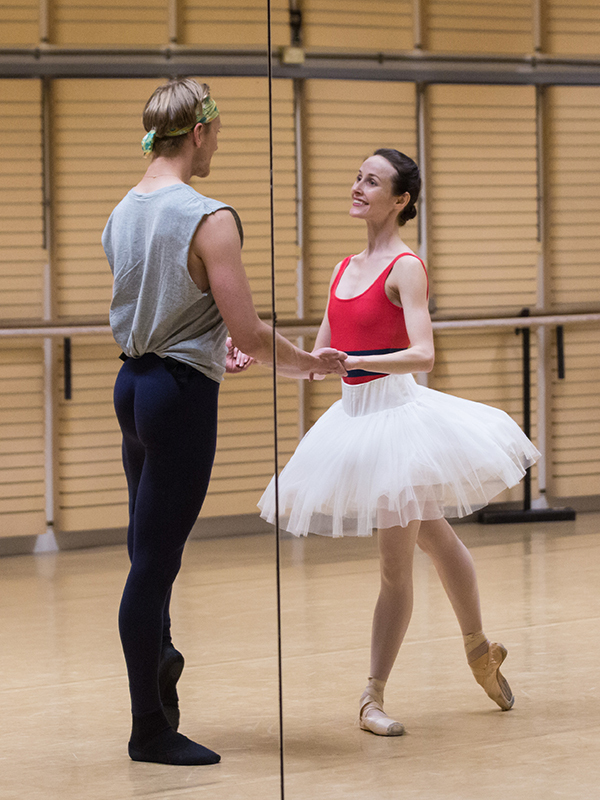 It’s great to have integrated so intimately with The Aussie Ballet. I’ve built so many relationships. Everyone has seen me from day one, lying on the floor in socks, you know, trying to feel some lost muscle somewhere … to now, when I’m coming back to the stage. What is unique about The Australian Ballet’s team? Sue is one of the best in the world. She has this insatiable hunger to educate herself, to develop her own work, but she also recognises that she’s working on some of the most honed athletes on the planet. Ballet dancers are sometimes the unsung heroes in that way – physically, the art form demands so much of us, and I think Sue really respects that, and thrives on it. It’s sort of a match made in heaven – she has the right vehicle to facilitate her curiosity, and is able to learn more and then apply it back to the dancers. But there’s also an absolute lack of ego in the way that she works; as good as she is, she’s never one to readily admit that, and she’s always willing to work collectively. In my opinion, that’s what shines through more than anything else – this incredible depth of knowledge from each member of the team, where each person has an integral part in the process. They constantly check in with each other with their findings. That’s why the team has such amazing success rates, and such amazing success stories. The injury rate amongst the company’s dancers is so low, it’s really impressive. This is your debut as Franz in Coppélia. How do you find the role? And what is it like dancing with Amber Scott? I couldn’t have asked for a better comeback ballet than Coppélia. It’s technically demanding and has forced me to get to a certain level of fitness; it asks a lot of me physically. But it’s fun, cheerful, it’s all about enjoyment for the audience, so I have to keep in mind that it should be about enjoyment for me as well. The music is “up” and colourful, and the role is simple – there isn’t much complexity to Franz, he’s not like Prince Siegfried in Swan Lake, where it’s all about unattainable love and never being happy with your circumstances. Franz is buying flowers for his girlfriend, and he’s really proud of it! He likes the women, he’s a flirt, and it’s fun to play off of that, and not completely go down into a psychological dissection of character. Amber and I are dear friends outside the studio. On stage, she is artistically very open and honest – it’s almost a vulnerable quality, unaffected, very pure and calm. She impresses not through a sense of her performing, but through her sheer presence, the beauty she is on stage. She has the fireworks, but she doesn’t need to rely solely on them to impress her audience. That is a true artist. I have forced myself to take this process day by day. Now is the time where plans are being made, and I’m checking out possibilities and opportunities. First and foremost: I’ve developed a really deep, intimate relationship with The Australian Ballet. I don’t think anyone in this building would say that I’m indebted to the company – but I am indebted to the company. They didn’t have to take in a dancer from the outside, not knowing how long I would be there or what the outcome would be, but we’ve all reaped the benefits. They’re seeing someone just about to step onto the stage after a devastating injury, and I’ve been given an education, and a second act in my dancing career. My relationship with The Australian Ballet is going to remain very strong. It won’t mean me living in Melbourne – American Ballet Theatre and New York are still home – but the relationship will continue. When I was boiled down to nothing, I was really forced to assess what’s important, and what my artistic drive is, where I see myself going – what my contribution will be, having weathered this storm. I’m a very different person than I was before the injury, and it’s time to come out of the cocoon and share that. I feel all the emotions in the book. I’m very excited; I couldn’t have had better preparation from the team, and I’ve done everything I could possibly do to prepare myself to get back in front of an audience. I’m excited, I’m nervous, I’m counting down the days – the whole nine yards. I’m living all of it! Sue Mayes: We are delighted to see David succeed in his epic journey back to the stage. At last this star is back where he belongs, fulfilling his artistic aspirations and thrilling the audience. I believe the keys to his success have been hard work; a multidisciplinary, holistic approach; trust; attention to fine detail, in and out of the studio; and sheer determination. Our team has provided David with the knowledge and resources to empower him to be the master of his own body. He continues his journey with a newfound confidence that with a clear focus and commitment to The Australian Ballet program he can overcome any physical and mental challenges ahead. Megan Connelly: It is always a privilege to share in a dancer’s journey through their career development, injury and recovery. Working with David was particularly fulfilling because he brought so much to the process. His humility and courage allowed him to open himself to new ideas and to see his body and his art form with honesty and a fresh perspective. His determination to share his experiences and his generosity in doing so has been incredibly inspiring to us all, but especially to our dancers, who have been fortunate to witness his return to the stage. 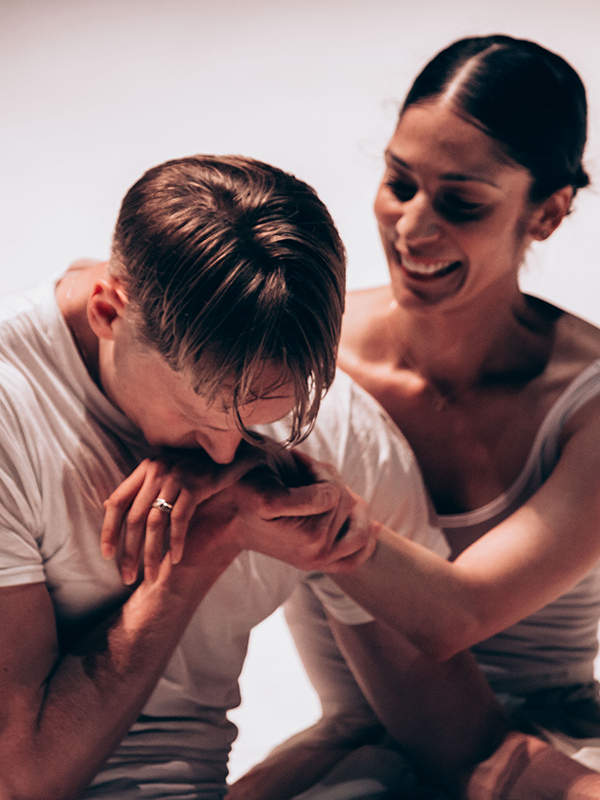 Paula Baird-Colt: When you work with a dancer recovering from a serious injury, it requires a level of privacy and trust; it is not an easy or comfortable journey. As I reflect on David's process, I recall his quiet resolve, seeing him find hope and courage in small steps forward. I laugh when I think of the improvised weight belt made of leg weights ... small things ... memories of a shared journey. Go watch him dance!